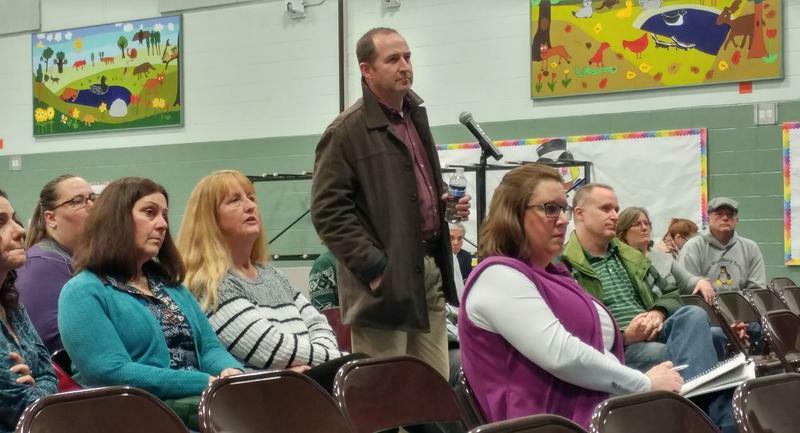 Cancer Cluster Commission members questioned officials from the Department of Fish and Game on Friday about contamination risks for stocked trout near Coakley Landfill. The state commission on the Seacoast’s high cancer rates signaled Friday it would push for cleanup at Coakley Landfill, despite objections from the Environmental Protection Agency. 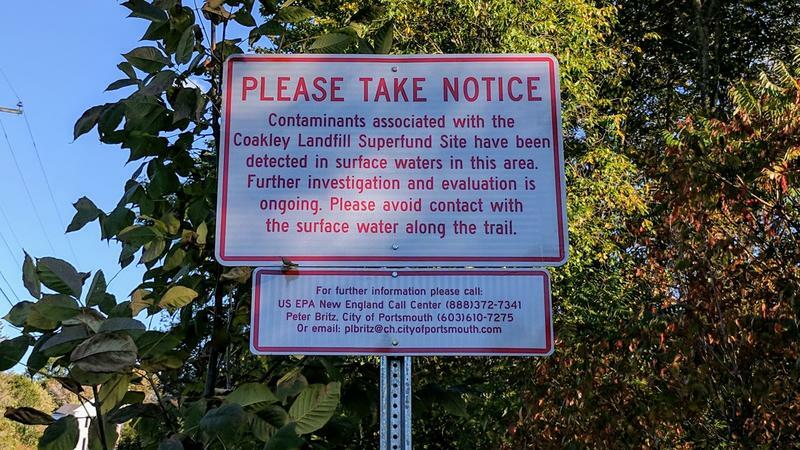 The legislators and public representatives who make up the Cancer Cluster Investigation Commission have a report due this fall on what's driving those cancer rates, and they’ve honed in on the EPA’s Coakley Landfill Superfund site as a likely culprit. Representative Charles McMahon, a Republican from Windham, chairs the commission. "What we have here is, what is the cause of all the concern, the expense and the implied danger of contamination? And that's the landfill itself,” he said in an interview with NHPR. “And that's why I proposed today we should move towards eliminating the landfill – remediating or eliminating it, versus testing it as it is in perpetuity." The unlined landfill was capped in the 1990s, but may still be spreading perfluorinated chemicals, or PFCs – a once-common manufacturing ingredient and possible carcinogen that the EPA only began regulating in recent years. The EPA is still monitoring the Coakley site and plans to study the bedrock beneath it. But they say it’s not toxic enough to trigger cleanup. And they dispute its connection to nearby cancer cases and deaths. Rep. McMahon disagrees, and says there’s sufficient “indication” that the landfill is to blame. “Why do we need to wait when we’ve all agreed there’s a problem?” he asked. On Friday, regional EPA spokesman Jim Murphy took the brunt of the commission’s frustration. No representatives from the state Department of Environmental Services or the towns and companies responsible for the landfill contamination, together called the Coakley Landfill Group, were on hand to weigh in. “Alright, well, I'm not aware that any of the pediatric deaths were linked to Coakley,” replied Murphy. “I think that's the only way I can answer that." Commissioners asked that the EPA engineer who oversees the Coakley site speak at their next meeting about more thorough cleanup options. 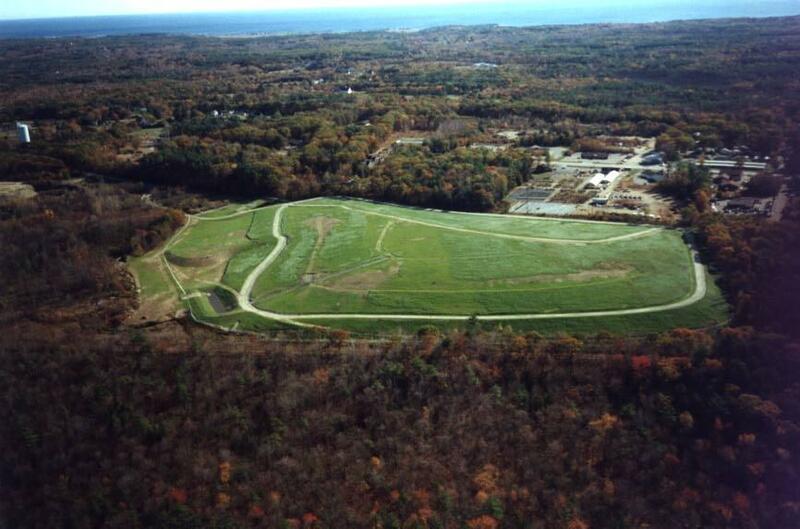 Coakley Landfill, on the Seacoast, was capped as part of EPA Superfund response in the 1990s. They also to know how has been spent at the landfill since it was capped, and whether cleanup feasibility studies done in the 1990s could be updated to speed remediation along. In an interview after the meeting, Murphy reiterated that Coakley isn’t contaminating drinking water with PFCs above the federal legal limit right now. Rep. Mindi Messmer, a Rye Democrat who sits on the commission, says that’s the argument that made her questions to Murphy more tense than normal on Friday. Messmer is also running for Congress, and has sponsored various bills seeking to make the state's PFC limit stricter than the EPA's. Commissioners also told officials from the state Department of Fish and Game to suspend trout stocking and work toward temporarily banning consumption of fish from nearby Berry's Brook. Murphy said the EPA has asked the Coakley Landfill Group to figure out how to pay to test those fish for toxins. He said their plan should be out for public comment by the end of the month. 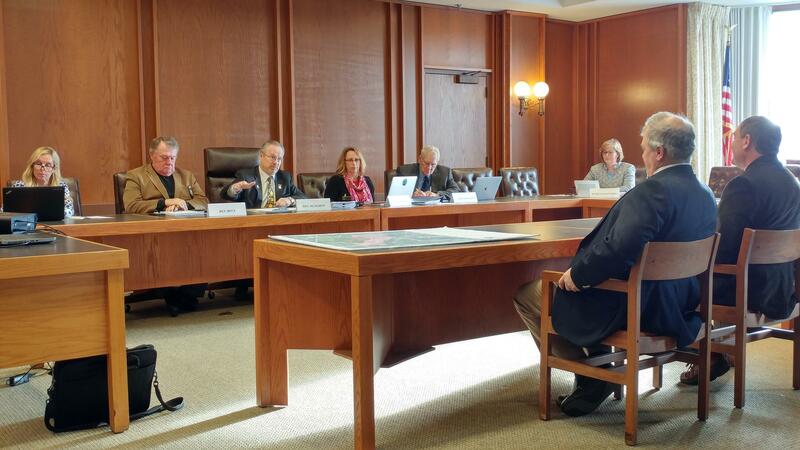 The Landfill Group's newly hired statehouse lobbyist sat in on the commission Friday, but declined to testify or answer legislators’ or reporters’ questions. A new bill from Rep. Messmer seeks similar fish testing, but Fish and Game commissioner Glenn Normandeau told commissioners on Friday that request would be prohibitively expensive – on the order of $600 to $3,000 per fish. He said if necessary, he’d prefer just to stop stocking waterways that have potential contamination issues. The commission has met five times since it was formed last year, according to Rep. McMahon. They'll meet next around March. 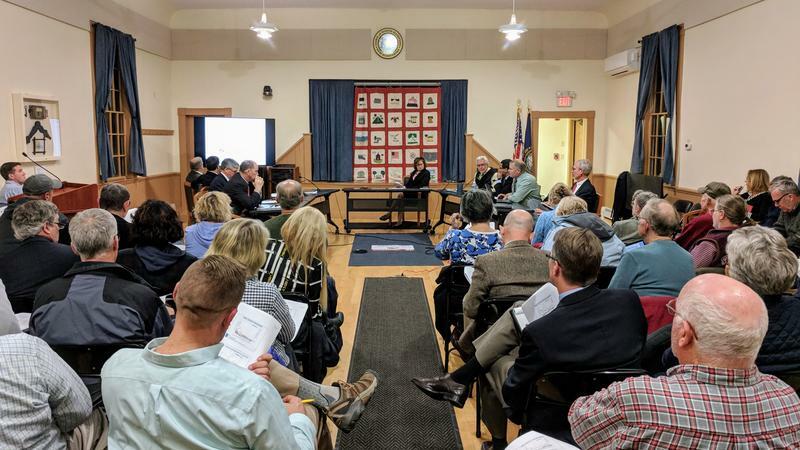 State and federal environmental officials held a meeting in North Hampton Wednesday night to update residents on efforts to address contamination at the former Coakley landfill site. For three hours, scientists with the EPA and the state Department of Environmental Services laid out the work that has been done and that will be done to monitor and address contaminated water at a former landfill on the Seacoast. Senate Democrats from New Hampshire have sent a letter to the regional Environmental Protection Agency office raising questions about its determination that a controversial landfill did not pose an "unacceptable human health risk." The EPA made the ruling about the Coakley landfill last month and announced it wasn't recommending remediation of chemicals on the site. The landfill in Greenland and North Hampton is a federal Superfund site and residents have expressed concerns that their wells could be contaminated. Last week, the Environmental Protection Agency said the Coakley Landfill, a superfund site in North Hampton, does not currently pose an unacceptable risk to human health. That message came as a surprise to some members of a task force charged with investigating a cancer cluster on the Seacoast. They have been arguing for months that the EPA needs to be more proactive in addressing contamination at the site. NHPR’s Seacoast Reporter Jason Moon recently sat down with All Things Considered host Sally Hirsh-Dickinson to talk more about this. State officials say they're close to finalizing a deal that would bring clean water to Bedford residents whose wells have been contaminated with toxic chemicals called PFCs since 2016. The contamination likely came from air emissions at the nearby Saint Gobain Plastics Plant. Since then, many residents have been drinking bottled water as they wait for Saint Gobain to pay to connect them to Manchester's water system.